I work from home and when my tummy starts to rumble or I need a break from the computer, I’ll wander into the kitchen, open up the fridge and stare blankly at the contents. Being that I do all of the grocery shopping, I don’t know why I live in hope of finding a surprise magical food container of deliciousness from the fridge fairy. But nope, there’s usually just ingredients to make dinner and a couple of lonely babybel cheeses in their shiny red wrappers. I’m a huge fan of Food52, and their “Not Sad Desk Lunch” campaign motivated me to stop the fridge staring, stop eating goldfish crackers for lunch and start making a little more effort. 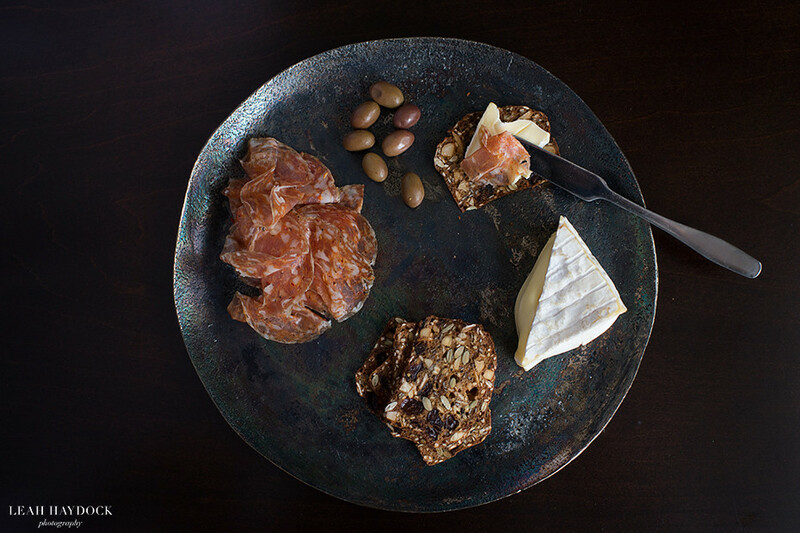 Last week I embarked on a week-long “not sad desk lunch” mission and it was remarkably easy. 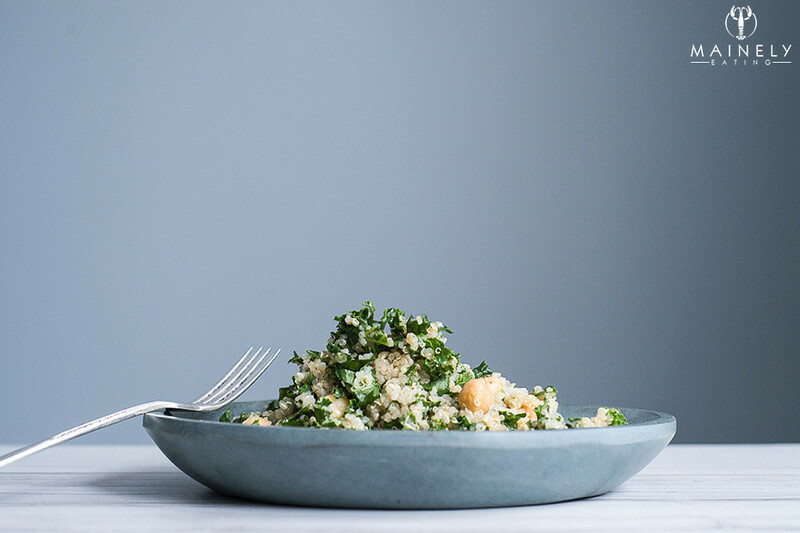 Read all the way to the end for the rather delicious lemon, kale and chickpea quinoa recipe that I hope you make for your own lunch! Monday’s lunch was leftovers. 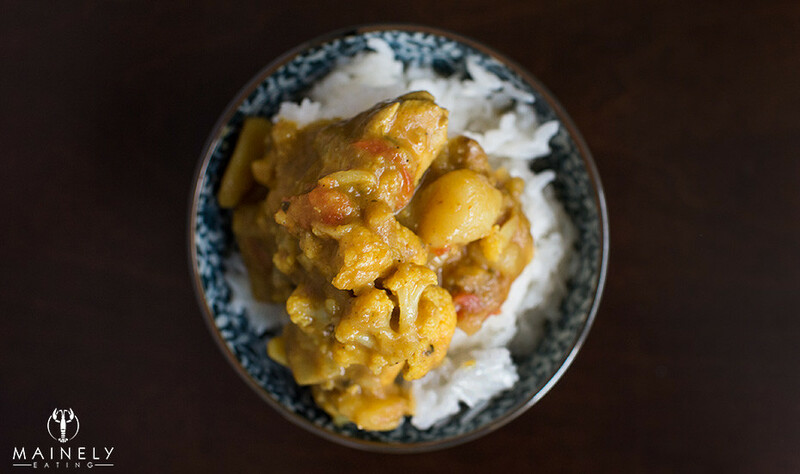 I’d been up in Vermont photographing a winter wedding and so Paul made himself a Thai-style yellow curry with chicken and cauliflower. There was just enough left for me to reheat with some sticky rice. Paul has a limited but remarkably eclectic recipe repertoire – Beef Wellington, Apple Crisp, Duckfat-roasted Potatoes and Thai green or yellow curry. On Tuesday I raided the fridge for a quick and easy lunch of cheese, soppressata picante and crackers. Taking just a few extra minutes to add some olives and salty date and almond crackers made it feel not very sad at all. After Tuesday’s cheesefest, something more austere was in order. 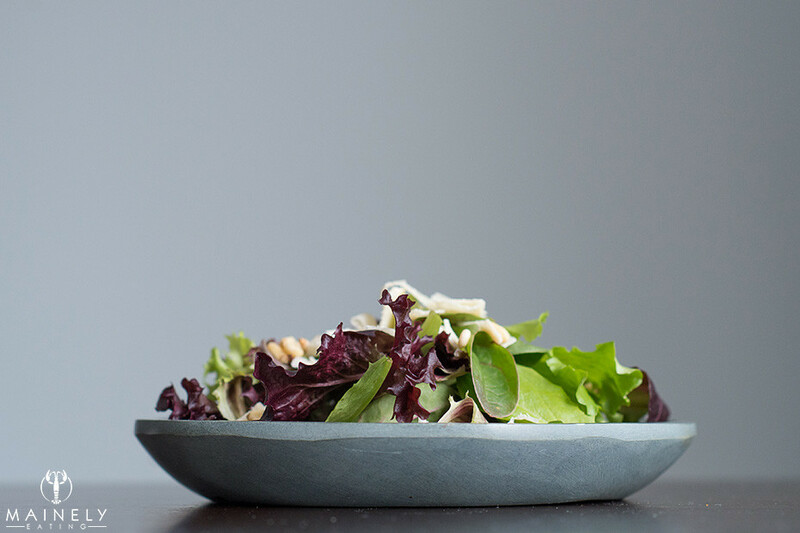 A simple salad of baby salad leaves with vinaigrette, parmesan shavings and pine nuts felt just right. The lure of the cheese draw called to me again on Thursday. 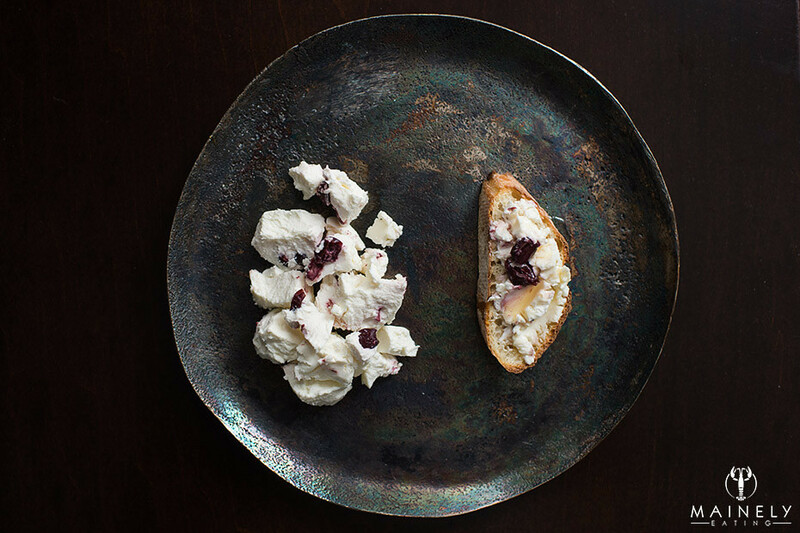 A snowy-white soft goat cheese from Seal Cove Farms in Maine studded with jewel-like blueberries whispered “Leah….Leah….” I spread it generously on thick slices of toasted bread with a little drizzle of honey. I ended the week with this fluffy, lemony quinoa studded with protein-packed chickpeas and baby kale leaves. Because if it contains kale it must be healthy right? Cook the quinoa according to the package directions reducing the water recommendations by 1/4 cup and replacing with the fresh lemon juice. Tips on cooking fluffy quinoa here. Take the pan off the heat, fluff the cooked quinoa with a fork and add the olive oil, the lemon zest and salt and pepper to taste. Add the baby kale and chickpeas, toss gently to combine. Enjoy! Do you eat your lunch at your desk? In an office cafeteria? Are you a lady-who-lunches? What’s your favorite lunch? This entry was posted in Healthy Eating, Lunch, Sides, Vegetarian and tagged Kale chickpea lemon quinoa recipe, Lunch ideas by Mainely Eating. Bookmark the permalink.